One-pan meals eliminate the hassle of having to clean up extra dishes afterward and are usually quicker to make. It's perfect for busy people, or for people who don't like to wash a lot of dishes. Read on for some one-pan inspiration. 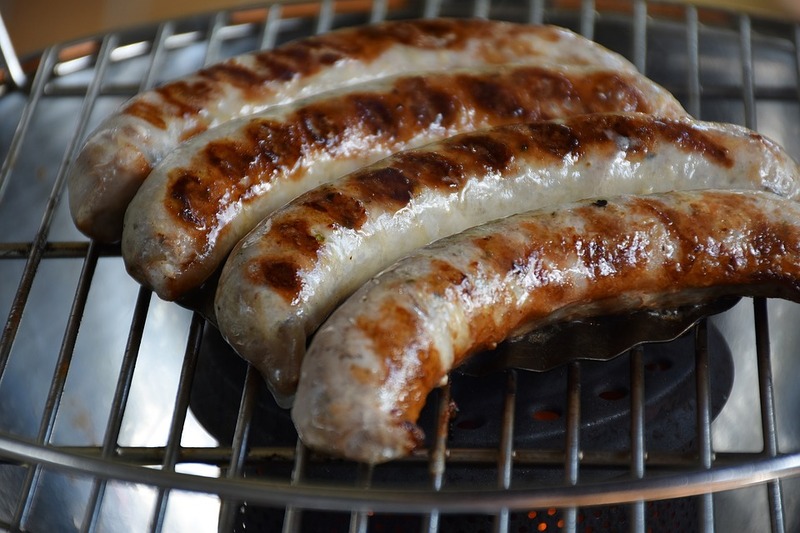 Bratwurst in a Blanket: Preheat oven to 375°. Glaze baking sheet with olive oil. Roll 5 bratwurst in Swiss chard leaves, placed seam side down. Keep them close together to keep the leaves rolled up. Place 1 pound small red potatoes, cut in half, next to sausage. Lay 2 pounds peeled and diced yellow beets next to potatoes. Sprinkle salt and pepper over beets and potatoes. Toss 2 tsp caraway seeds over beets. Drizzle olive oil over beets and potatoes. Gently coat. Roast until potatoes and beets are soft, about 40-50 minutes. Muffin pan deep dish pizzas: Preheat oven to 400°. Coat wells of muffin tin with cooking spray. Divide dough into 12 balls. Grease hands with olive oil and press each ball of dough into the bottom and sides of each well. Top with mozzarella cheese, marinara sauce, and more cheese. Add any additional toppings you desire. Bake about 12-15 minutes until cheese is melted. Let cool for a few minutes before serving. Egg roll skillet: Everything you might find in an egg roll, in a skillet. Heat vegetable oil in skillet. Add 1 pound ground pork, and 1 chopped yellow onion to pan. Cook until meat is cooked through. Toss 3 cloves minced garlic and 1 tbsp minced ginger in pan and cook for one minute. Add 14-oz coleslaw mix and 2 tbsp soy sauce to pan and cook until cabbage is brightly colored and crisp-tender. Remove the pan from heat and add 1/4 cup scallions, 1 tsp sesame oil, and 1 tsp vinegar. Toss to combine. Add salt and pepper to flavor. At The Belden-Stratford Apartments in Chicago, IL, living is easy. With fully equipped kitchens, grilling stations on rooftop sundeck, separate dining areas, on-site restaurants, and everything in between, it's never hard to find or make a delicious meal any time of day or night. Call us today to find out more about the many services we offer and our amazing floor plans.